They don’t look like they looked in my head. They were much more layered and complicated and perfect in there. 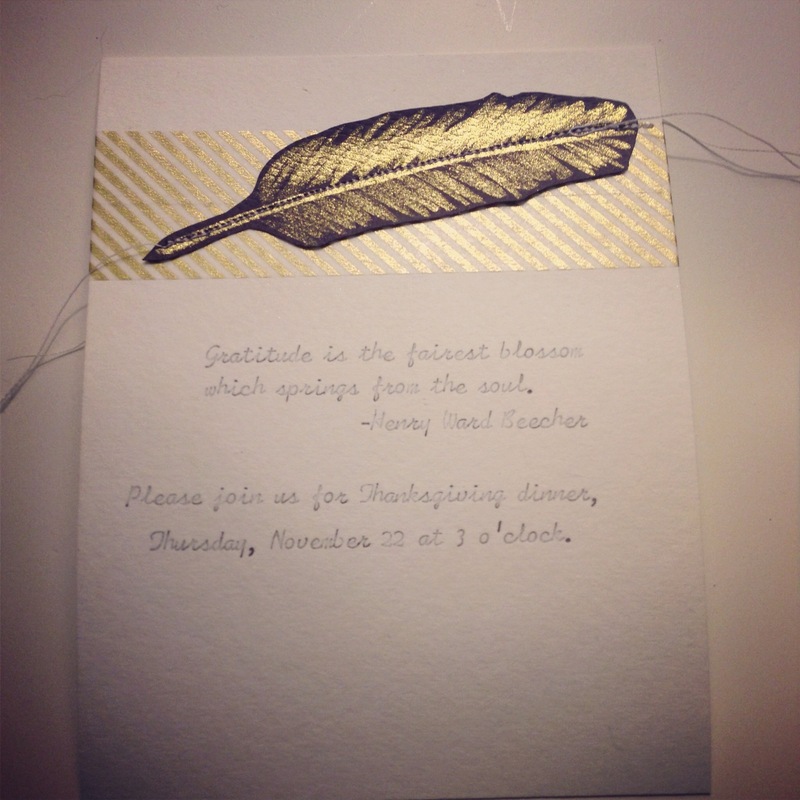 But, they also didn’t have fancy gold artist ink on them…or feathers…those were happy surprises. Oh, and I am not a designer. At all. But, even though professionally created invitations might look more perfect, I enjoy creating something with my hands and with paper. Even though things didn’t work out as they did in my dreams, I am still happy I took the time to create something tangible and special for my guests. For me, this is what the holidays are all about. So, I typed my message on my (cheap, but lovely) 140 pound watercolor paper. It felt more luxurious than my other white paper choices, and it fit through the typewriter just fine. Then I taped on two strips of gold striped washi tape, lining up the stripes so it looks like one wide strip of tape. 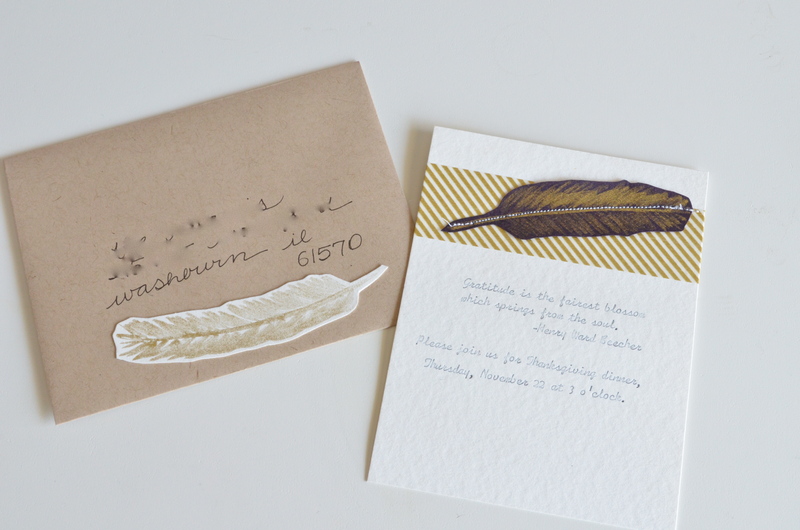 Then I cut out my practice feather (on Paper Source aubergine) and I sewed it right on top of the washi tape stripe. The sewing was a huge pain. I jammed up my machine no less than ten times (and I only sewed three tiny things)! I was able to fix it each time (yay for patience and the owners manual!) but I wasn’t able to determine the source of the problem…it might have been the two layers of paper together, since my first paper sewing adventure only involved one layer of watercolor paper. I mailed them out on Tuesday, so hopefully they will arrive at their destinations soon.